Observation notes: Time: 12:08 p.m. Weather: Partly cloudy, with some stray showers in the area. 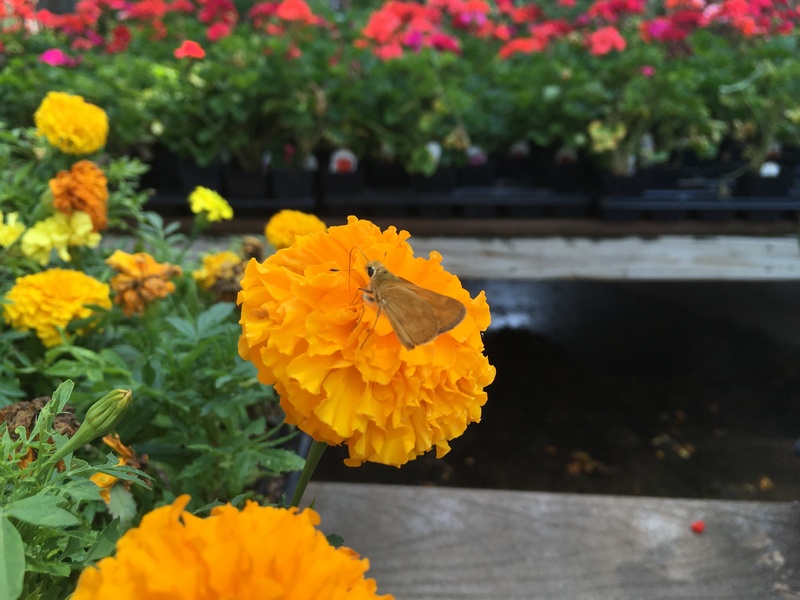 Habitat: A garden center with abundant outdoor potted plants, many of them flowering. 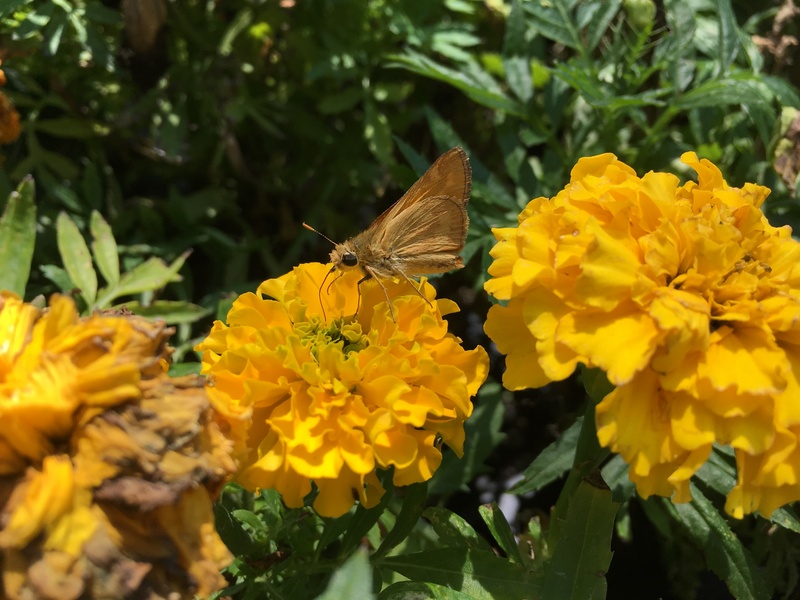 Notes: This skipper was moving from marigold to marigold, avidly nectaring at each one. 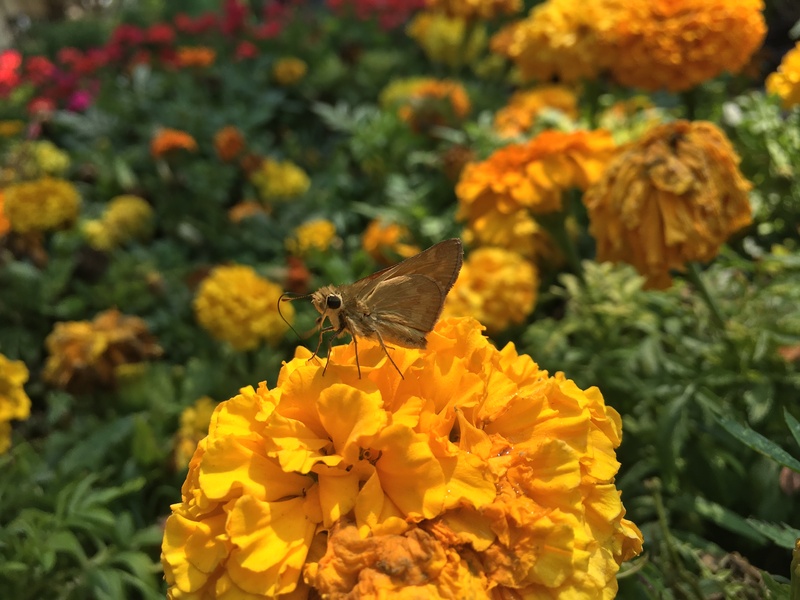 When I got a close look, I realized that it was the same kind of skipper from the CSU Flower Gardens earlier that day. 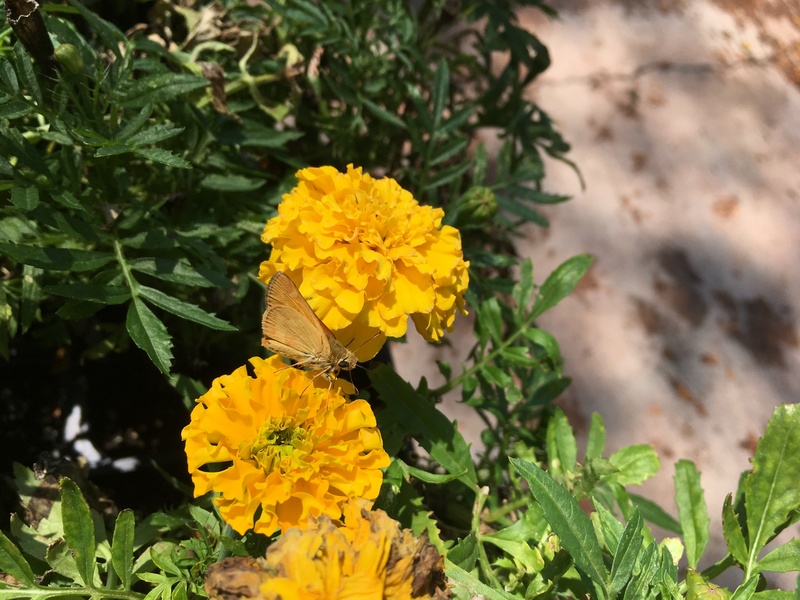 I still believe that it is a male Sachem, especially considering marigolds are one of their favorite nectar flowers. If so, it would appear the Sachem is having a very large northward colonization this year.